Sometimes it’s easy to make yourself sit down and do some schoolwork (like when your assignment is due tomorrow) and other times, you kind of need a little boost of motivation to sit down and get started on it. That doesn’t mean that you’re a slacker, or lazy, or a bad student. It’s hard for everyone to force themselves to work on things that don’t necessarily have a sense of urgency. Schoolwork and studying really rely on discipline and habit. It takes work and organization… and even planning (YAY!). We often hear that it takes 21 (or is it 28?) days to form a new habit. 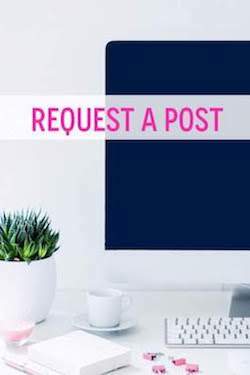 And, with that already in the back of my mind, I heard something pretty interesting earlier this year when I was researching for the 4 Rules for Effective Studying post. In that post, there is a video of a lecture from a professor (Dr. Marty Lobdell), and he suggests a really cool idea: having a “study lamp”. I kind of blended those two ideas together and came up with a couple of other ways to create a study habit/routine in my everyday life. 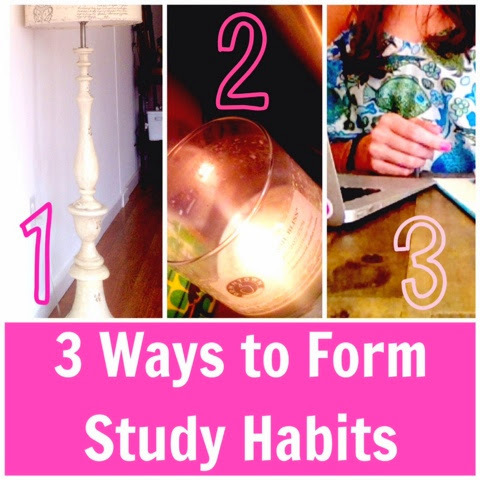 So, here are 3 tricks that you can use to get into the habit of studying daily, too! 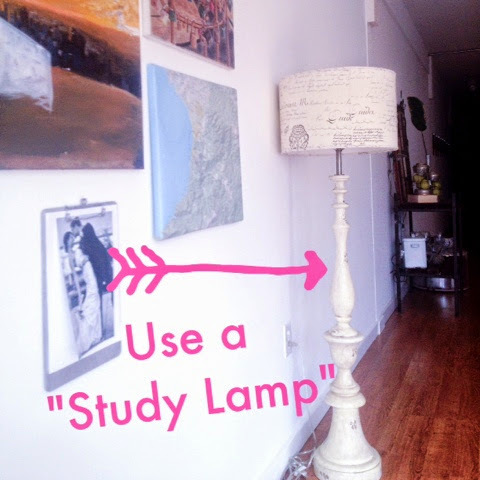 1: Use a "Study Lamp"
This is the idea from Dr. Lobdell. He especially suggests it for students who study and sleep in the same room (aka bedrooms and dorms). A “study lamp” is a lamp (obviously) in your study area that you only turn on when you sit down and actually start on your schoolwork. When you get up to take a break, turn the lamp off. And don’t use this lamp for any other reason! The reasoning behind this is that your mind eventually gets into the habit of going into “study mode” when the lamp is turned on. 2: Designate a "Study Chair"
That idea kind of inspired me to think of some other things that could trigger that kind of conditioned response. 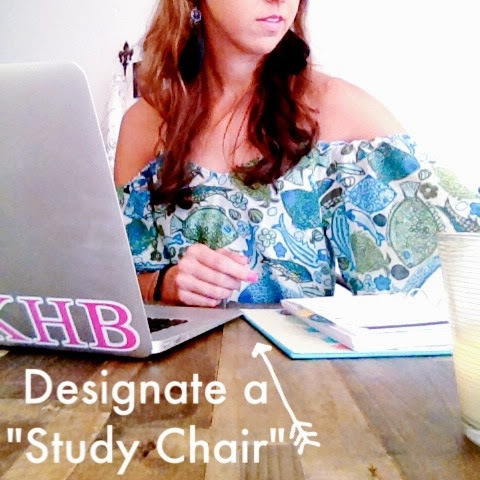 Consider designating a “study chair”. A place where you always sit when you’re working, but that you don’t use for anything else. Since we moved into our loft, I’ve been using one specific chair at our dining table as my “work station”. Even though I sit at that table for dinner and other things, I never use that particular chair unless I’m working. When I’m there, I know it’s time to get stuff done! 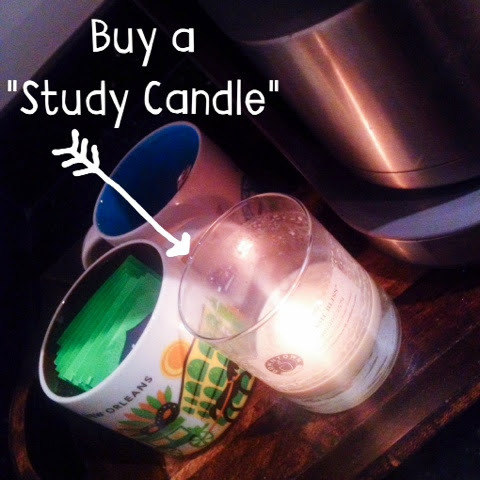 3: Buy a "Study Candle"
Along those same lines, I also recently did some research on Aromatherapy, which I am just fascinated by. Did you know that smell is our biggest link to memory? I can still spray the body spray I wore in high school (Love Spell!) and immediately be brought back to those memories. And the smell of dew-covered grass in the morning reminds me of all the soccer and softball games I played as a little girl. The same with the smell of the beach of course! So, I thought, why not do the same with studying? I have a “study candle” that I light when it’s time to get some schoolwork done, and a “relaxing candle” that I light when I’m ready to calm down my mind, turn off my electronics at night, and just be present in the moment. When I looked into the scents that would be most effective for working, the things that I found were just SO interesting! Different scents have different effects on our brains, such as boosting confidence, creativity, and focus. There are some links below to take you to some of these articles! This, this, and this are some interesting articles to check out if you want to read more about aromatherapy or the Olfactory Bulb (the reason smell and memory are closely linked)! There are even more scent suggestions in the articles, the ones listed above are just my personal favorites. Just a few helpful things to keep in mind while you’re walking down that oh-so-alluring candle aisle at Target! Do you use any of these kinds of tricks to get yourself into the habit of studying? Have you tried using aromatherapy ever? Do you have a special routine or space designated to “study time”?